Not keen to miss out on the wave of eco-enthusiasm is Nissan — back with something newer, slicker and faster: the 2018 edition of its all-electric Leaf. Giving the first generation of its battery-powered hatchback a good shake-up, Nissan’s stuffed the Leaf 2 full of nifty tricks and range-bolstering improvements; all in an effort to make it your e-runaround of choice. Hammering through gears can be really fun but gear-free acceleration is a pretty nifty trade off when yourre zipping around in an electric car. Nissan has gone one step further and decided that drivers do not need two pedals. Nissan has worked out how to use regenerative energy tech to slow the new Leaf all by itself, which means driving using just a single pedal. For everything except emergency braking (which still requires using the old-fashioned brake pedal), you can use the e-Pedal. This is all possible thanks to the e-Pedal tech, with redefined aero and a new battery design which increases storage capacity without growing an inch over the old model. Quick charging can zap the Leaf to 80% power in 40 minutes for a road-side top-up (should you be in a country that has them), too, while a longer range model due in 2018 should see the Leaf’s efficiency stretch even further. Let's not get carried away... it will outrun the 1.0l EcoBoost variant, anyway! 148 horsepower is nothing to shirk at in an all-electric runabout (especially when it is all delivered across a gear-free acceleration gradient). Admittedly, using all of that horsepower all of the time is likely to dramatically reduce the theoretical range of your new battery-powered plaything. With the 110kW electric motor driven by a 40kWh battery, it’ll hit 100km/h in 7.9s and top-out at 145km/h on the freeway. All of which means that, while the new Leaf probably won’t be winning races anytime soon, it’s a properly, real-world way to get around – and won’t see you left behind on the supermarket run. By combining a low profile, aero wheels and a diffuser-style rear bumper, drag (the enemy of everything that moves, electric or otherwise) is cut drastically on the new Leaf – maximising efficiencies made elsewhere. 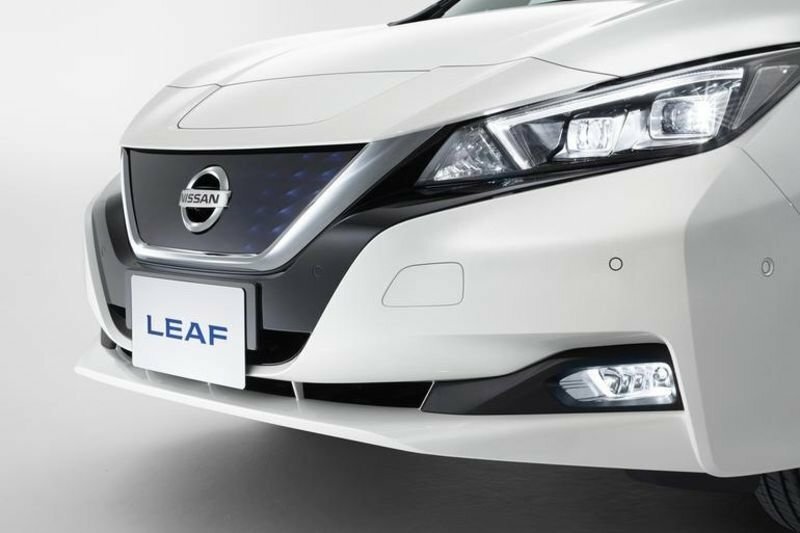 While it hasn’t gone full eco, the Leaf is plenty slippery enough to see it carving through the air without harming the range. A curb weight of 1535kg helps, too. It’s also more practical, with four doors and a decent 435-litre boot capacity (which is 65 litres more than the current Leaf and should make shifting your eco storage boxes a lot easier). 5. It will parallel park all by itself – and go sort-of-autonomous, too! So auto-parking has been around for a couple of years already — but it’s a little different on the 2018 Nissan Leaf. Using a suite of sonar sensors, cameras and general autonomous wizardry, the Propilot Park system can tuck the Leaf neatly into almost any parking spot — whether that’s parallel, alley docking, nose-first or skew in a field. Like a robot-driver you can’t see, it’ll take care of the steering, accelerating and braking. All you have to do is watch! So there you have it, folks. Let us know in the comments below what you think about Nissan's new leaf, does it float your boat?